Whenever you’re looking for a 12 MP digital camera, you may consider many options because there are many great brands. We urge you to try out the new Fujifilm X-10 because it is one of the best cameras Fujifilm has made on the X series that has F 2.0-2.8 and a 28-112 mm lens. If you want to experience some high speed shooting, the X-10 can take 7 to 10 frames per second. The lens is a 4x precision zoom lens which is fast if you have a trained hand when you’re focusing on many objects at a time. The quality of this camera can be compared to many broadcast cameras since Fujifilm implemented Metal-Cam inside the lens itself. Offering this kind of power inside a simple digital camera is what makes the Fujifilm X-10 apt for people who do not want a lot of fancy things on their camera and want that professional focus. 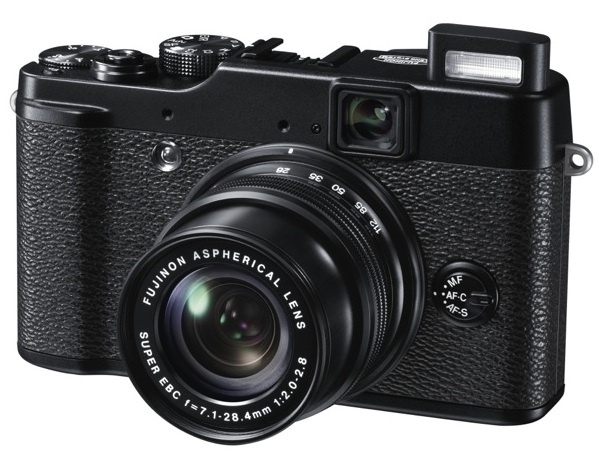 Fujifilm has had a great start this year with their X-100 release back in March. They developed the Fujifilm X-10 because they wanted to have those features that made the X-100 popular and adapt them into a smaller, more affordable camera. One of the most notable aspects of this camera is the optical viewfinder, which has a bright optical zoom backed up by a wide viewfinder for those people who still like to use it instead of the 2.8-inch screen that the camera already provides. Having full manual control of your X-10, you can synchronize your flash shooting to every kind of shutter speed. If you haven’t seen the camera on your own, you may notice that the on and off switch is built into the lens, so once you get the lens out, the camera powers on as you reach the 20 mm mark. This surely is a great addition to the X-10, since you want to take pictures fast enough to catch every aspect of your subject. The difference between these cameras is the focus mode because it is now built into the front of the camera just beside the lens compared to the X-100. This button can be configured as follows: HR or High Resolution for well lit conditions, Dynamic Range for high contrast and SN High sensitivity low noise for low light. The Fujifilm X-10 is smaller than its predecessor, but it has high image quality. This is due to the types of lenses that Fujinon has implemented into this camera. They have better optical characteristics when you look within the 9-groups/11 elements configuration. Every lens is treated with Fujinon’s original Super EBC for long lasting equipment and minimal damage. These cameras are now implemented with motion detectors, recognizing up to 54 different aspects of the scenery. This allows the camera to automatically synchronize the brightness, flash and even high contrast among many other things that the camera can do. This makes it perfect for family reunions, weddings, dinners, and even parties. The camera looks great and people who have seen the X-100 know how strong the X-10 is because it has a similar Magnesium alloy case that evokes the 1960’s look and feel. In conclusion, the X-10 sets itself apart from other cameras for its trusty viewfinder, better depth-of-field, and its bright lens can produce more blurred images than a DSLR. This is great for subject isolation when you want these kinds of portraits. As far as pricing goes, the X-10 is cheaper than the X-100, starting at $599.00 at retail stores back in November 2011. The price range is still the same and you can find them used from $511.00 at other websites like Amazon and Ebay. Lisa is an avid yoga enthusiast who enjoys writing in her spare time for Usdirect.com – home of Directv in Colorado.